Isn’t it strange how quickly you adopt a new lexicon when you’re in a new situation? Two years ago I had never heard of TTC OR TWW, any of those terms related to trying for a baby, but despite not accessing any of the websites or forums which support couples trying, the acronyms have become ingrained. Anyway. I say this because I am in the middle of my two week wait – the period of time between a fertility treatment and the day you do a test. It’s a strange time, feels absolutely out of my control. I have been keeping busy to keep my mind off things, and during the not very successful sorting out of my card making supplies, I found an old cross stitch magazine. and found I had itchy fingers wanting more. I do have a lot of threads and patterns, but apparently no Aida or linen, so a trip to Hobbycraft with a friend was in order. I fell in love with this little Peter Rabbit design. I am very aware it’s really nursery decor, but I think I can get away with it as a card if necessary. Fingers crossed, though. 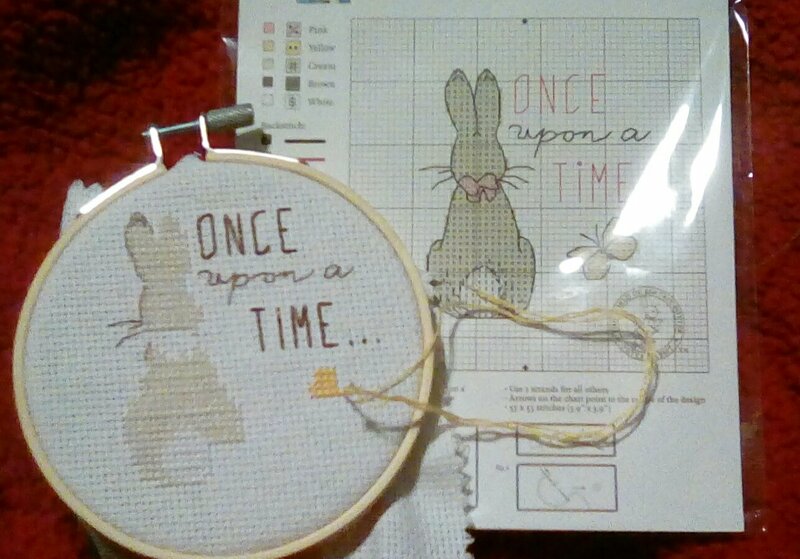 This little bunny is really nice and simple, counted cross stitch but with very few areas where you have to concentrate on leaving space forother colours. It came together really quickly, too. I’ve definitely been reinfected with the cross stitch bug. Been on EBay and ordered more Aida as well as on Amazon to make use of Prime and order a beautiful birds kit which I intend to stitch and frame for my mother in-law- they both work for the rspb, it should go down well. Update: I tested on Saturday and iit was negative, went for bloods Monday and it’s positive! Baby D due in November all being well, it’s incredibly early days, but I’m buzzing!!! 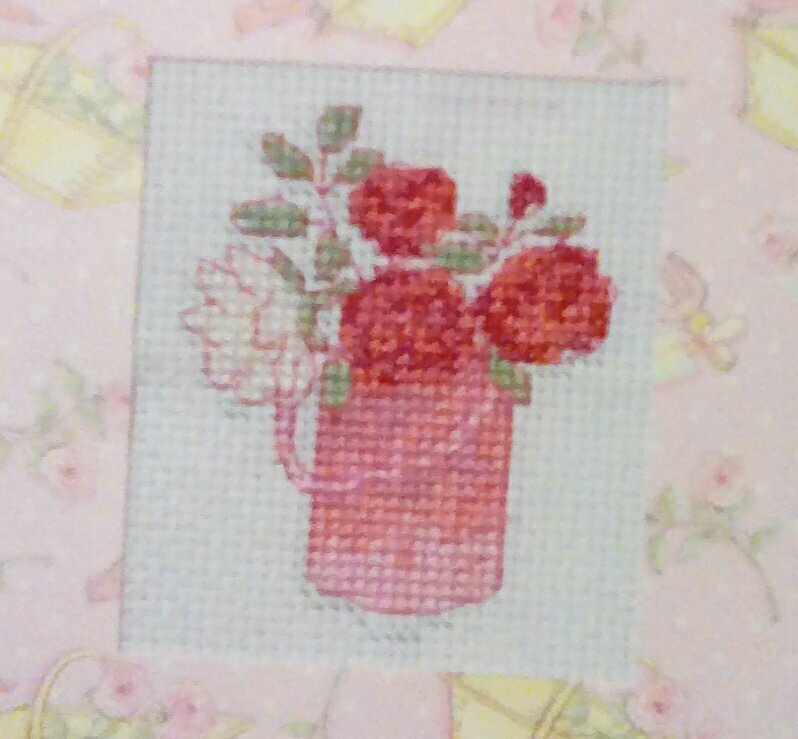 This entry was posted in craft and tagged cross stitch on February 28, 2017 by Isn't She Crafty. Well I started today 3 hours earlier than I intended, so got some of my chores done early. 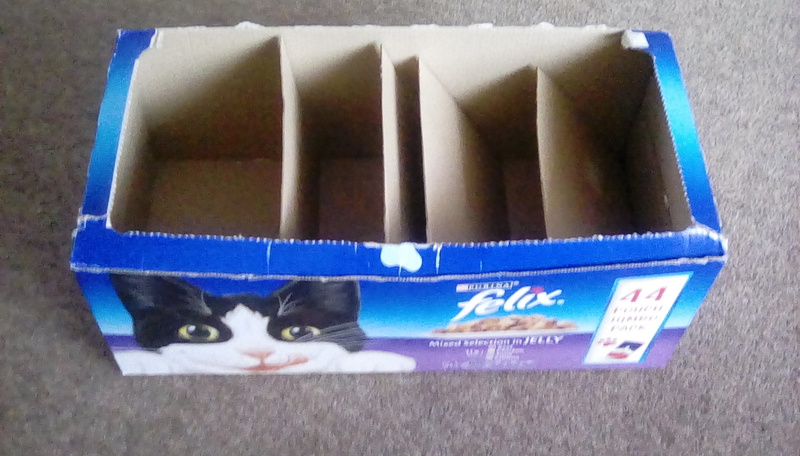 I had a very grumpy cat when he was kicked out just before 6am, but he ‘helps’ far too much when I clean his litter tray, but I had a very smug feeling when my first load of laundry was out by 7am, kitchen generally cleaned and the dishes drying. A side effect of my early start was that even after a 3 hour hair appointment, I ended up finishing my to-do list and thought I’d start sorting out the chaos which used to be my oh-so-precious crafty stash. I have dreams of having a craft room, or any space, but until a miracle strikes I craft on the living room floor and my stash is dotted around the house. I’m slightly ashamed to admit it, but due to the quantity of things I’ve built up (hugely inflated by the very generous stash I inherited) I can only really access two thirds of my collection and recently was very excited when I bought a paper kit only to find when it arrived ii already had it! I put Create and Craft on for company/inspiration which is usually dangerous – they’re so good at their jobs and I’m so weak willed – but I resisted temptation. Then I pulled out a large package to sort through it. The plan was to go through all my piles, label things and make them accessible and make myself a list to remind me what I’ve got to play with. This failed at the first hurdle! First thing I pulled out of the first package was my Craftwork Cards Noir de Luxe papercrafting kit. I remember being so excited toget this kit, and it lived up to expectations, but got tidied away after I’d only made a couple of cards and has been sadly neglected since. Well I couldn’t leave the poor beautiful papers again, and the little tag banner book reminded me of the email I’d had yesterday from Mojo Monday, and so my afternoon of sorting out became entering my first ever card challenge! So, I would like to enter my first Christmas card of 2017 in Mojo Monday #485 challenge. I’ve actually kept very close to the sketch because I really liked how it let the topper talk for itself and I liked how the stars were carried through as a theme. I used a corrugated gold card in the background as I really wanted the card to feel luxurious and festive. The tag banner, the grey star paper and thge gold stars are all from the Craftwork Cards Noir de Luxe papercrafting kit, and I added in a length of black raffia. This entry was posted in cards, craft and tagged Craftwork cards on February 22, 2017 by Isn't She Crafty. 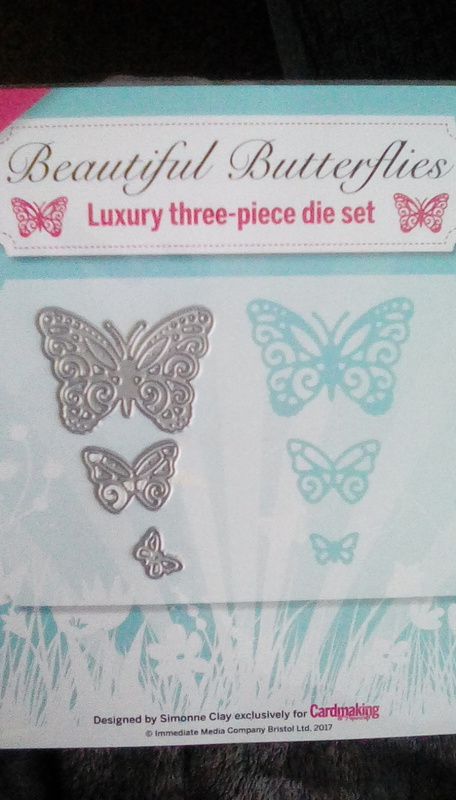 I received my copy of issue 167 of Cardmaking and Papercraft late last week, but a busy week and working all weekend meant I didn’t get chance to play with my three free butterfly dies until Monday of this week. My crafty mojo seems to be a bit lacking at the minute and I have been using kits far more than my norm. 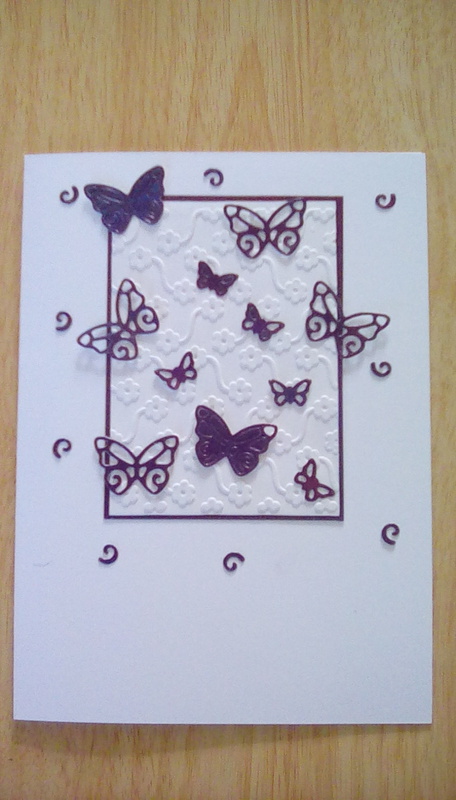 I like these cute little butterflies because I can oomph up a kit with them, or get back to my creative roots and build them up into a card with little else. I fell in love with the Create and Craft Antique Floral Decoupage kit ages ago, it’s almost holographic, but more subtle. 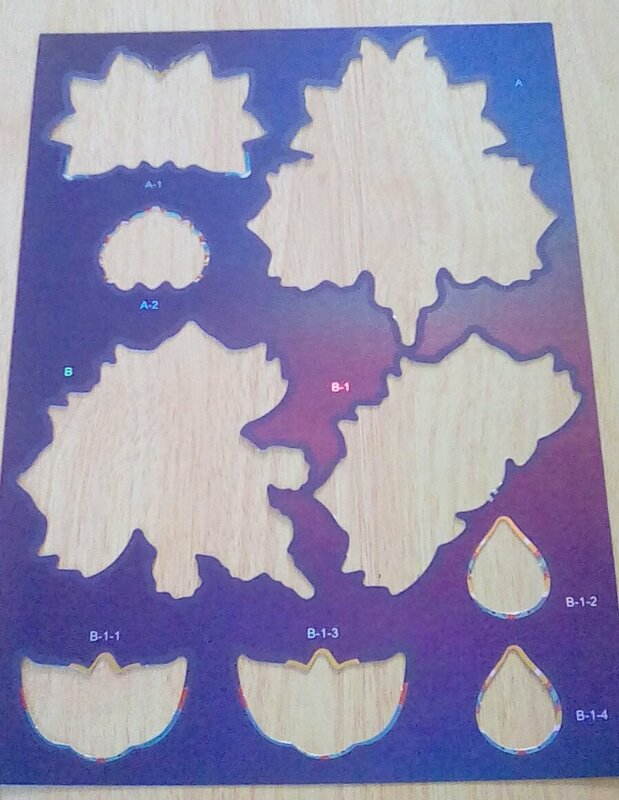 When I’ve made cards and other creations, I’ve been keeping the ‘waste’ (A4 sheets with a lot of spare, shiny card), but hadn’t found a use for it yet, there are funny size and shape bits. I was waiting for the glue on the box from my last post to dry, so thought I’d cut butterflies from one of the sheets of waste. Shiny butterflies are always useful and pretty. Half an hour later and Iwas wondering what to do with 26 butterflies. Feeling inspired by having used up some scraps, I thought I’d make a whole card with only scraps. Mat and layer the embossed white rectangle onto the scrap card. I didn’t have a piece quite big enough, but I knew I was going to have butterflies overlapping the edges so I was happy to use two smaller bits and hide the join. 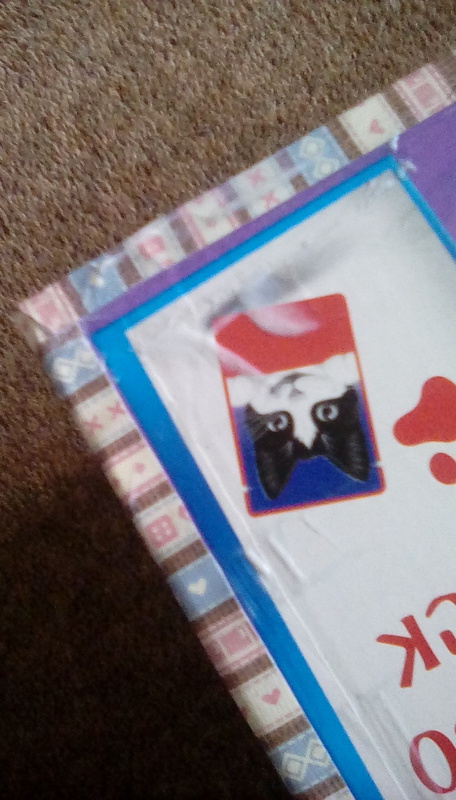 Fix the embossed piece central in the top third of the card. Stick butterflies randomly on the topper, some with all the pieces pushed out, some with them in, some stuck flat, and some only stuck in the middle with their wings raised. 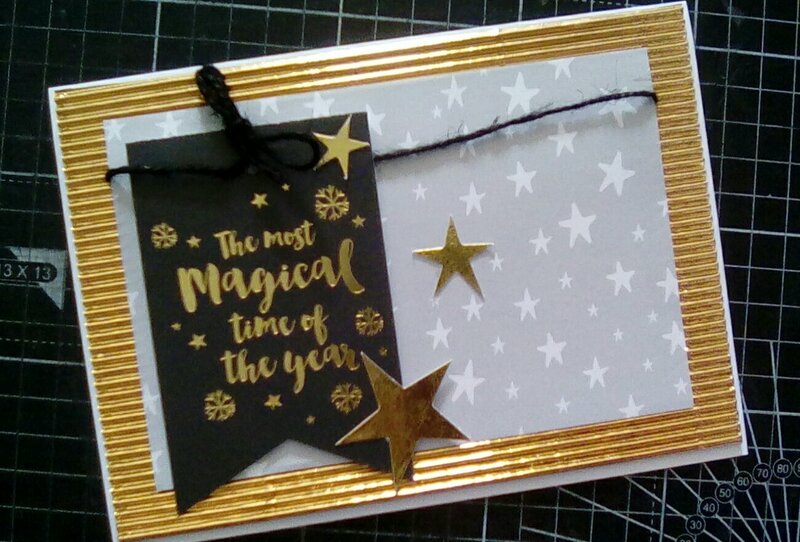 Overall, I am really pleased that I’ve been able to make a card with only scraps and freebies, and I quite like the actual look, although I’d not use the little swirls again, I think the card would be nicer if it was more simple. I’ve not added a sentiment because I’ve not got an occasion iin mind at present, but one should look nice simply stamped across the bottom. This entry was posted in cards and tagged craft on February 15, 2017 by Isn't She Crafty. I apologise for the long gap since my last post. Such a busy week: brother finally diagnosed as being on the autism spectrum on Tuesday (he’s 28, I’ve been pushing for an assessment since he was 16); fertility appointment Wednesday – still no signs of a baby and we’ve got a date for IVF consent clinic, but they’ve decided to try IUI first, scans Wednesday and Thursday, then they did first procedure friday; worked all weekend. A week of minimal crafting is hard. I don’t realise how much my crafts relax me. I have every intention of staying in my pyjamas, drinking tea and crafting all day today! Last week I got my latest present from Create and Craft, the Dreamees Extravagant Ensemble which included, among other treats, 2 papercraft CDs, an A4 paper pack and 5 stamp sets. My stamps have been living in a magazine rack, Christmas ones in a separate one, but it’s bursting at the seams and I was starting to fret that my precious stash is suffering. 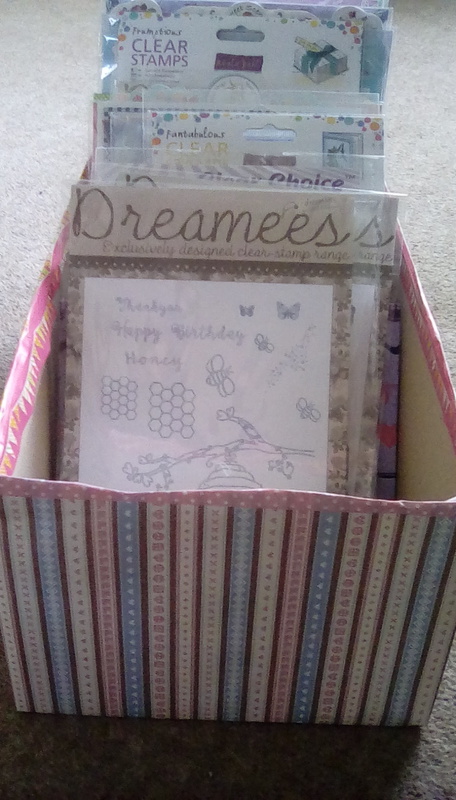 The box is slightly bigger than even my biggest stamps, and comes with ready-made dividers! It just needs to be prettified and neatened up. 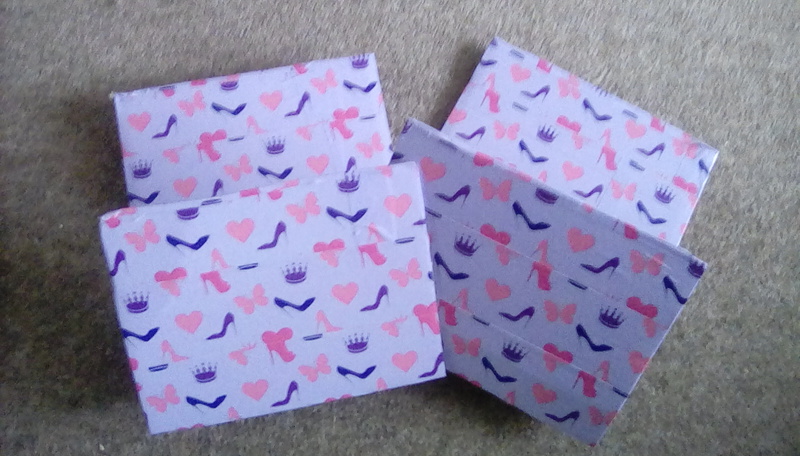 I cut two sheets of 12×12 scrapbooking paper in half and used ModPodge to stick them onto the sides of my box, then put several layers of ModPodge (leaving plenty of time to dry between) on the bottom where the papers ended, I didn’t feel the need to decorate the bottom, it’ll not be seen. Whilst waiting for the glue to dry, I used my funky duct tapes to decorate and reinforce the dividers. Once the bottom was totally dry and I was happy that the papers weren’t going to get scruffy edges through not having been stuck down properly, I used Washi tape to edge the top – I wanted something which would be decorative as well as neaten the edges. It was hard to make the edges neat, next time I will put masking tape over first to give a clean edge, then I can prettify to my heart’s content. I’ve not quite decided how I’m going to label my stamps, but at least they’re all nice and safe and comfortable, and I can add in more dividers as I want. This entry was posted in craft and tagged organisation on February 13, 2017 by Isn't She Crafty. Last year my family saw my lovely Great Auntie Rita for the first time in more than 10 years, 300+ miles and busy lives means the years fly without you realising. Sadly, I was told this morning that she has passed away. She was 93 and ready, so it’s less of a sad event than it could be. I wanted to send a card to her daughter and son in law, to say we’re thinking of them. Sympathy cards always take me a very long time to begin. I am not religious and I feel hypocritical using religious based sentiment or imagery. A lot of sympathy cards in the shops look a bit samey to me, and the toppers I’ve got in kits tend to fit with that pattern. I struggle to think of a personal, appropriate style. Rita was a happy person. She liked pinks and flowers, pretty things. 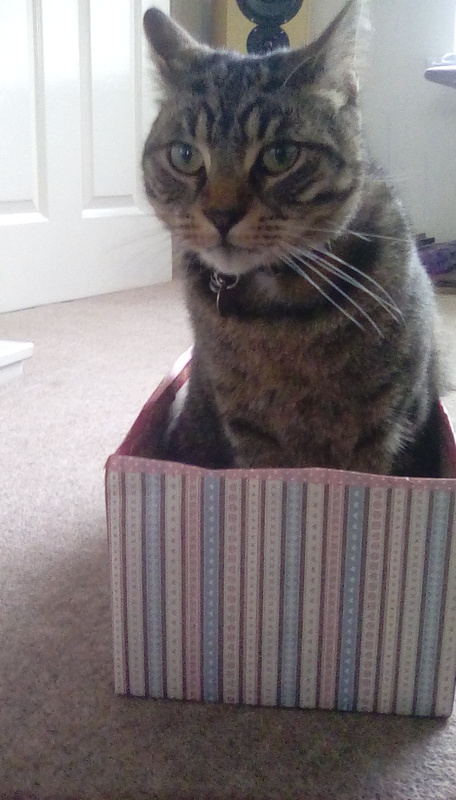 A card to celebrate her life felt like it should reflect her. 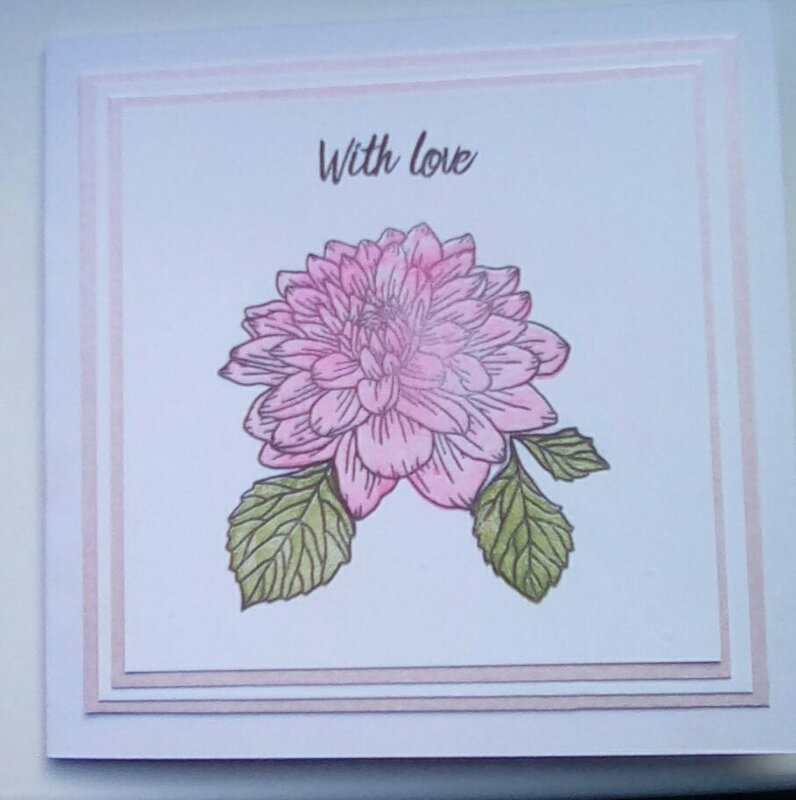 I chose to use my Hunkydory For the Love of Stamps Delightful Dahlias set. At first I was going to use a separate ‘with sympathy’ sentiment, but the ‘with love’ that is in the stamp set said it better. I wanted flowers, and the bold Dahlia is great because it needs very little else to be a focal point. This stamp collection is made of separate outline stamps and details; you stamp the outline of the flower and the leaves, then you can colour it yourself if you want, or simply cover the detail stamp in the colours you want and stamp over the outline for an instantly coloured image. I wanted to keep this card very simple, so simply matted and layered white card and a pale pink pearlescent card, then added a few dots of glossy accents around the flower for detail. So, it’s not quite a traditional sympathy card, but I feel it’s fitting to celebrate the life of a strong woman who enjoyed the little luxuries you can find in everyday life. This entry was posted in cards, craft on February 3, 2017 by Isn't She Crafty.